There is a reason why the majority of Android users love Nova Launcher above other homescreen apps, updates. The good folks at Teslacoil, have now brought us some of the Android 8 and 8.1 Oreo launcher's features by backporting them to work on Android devices. 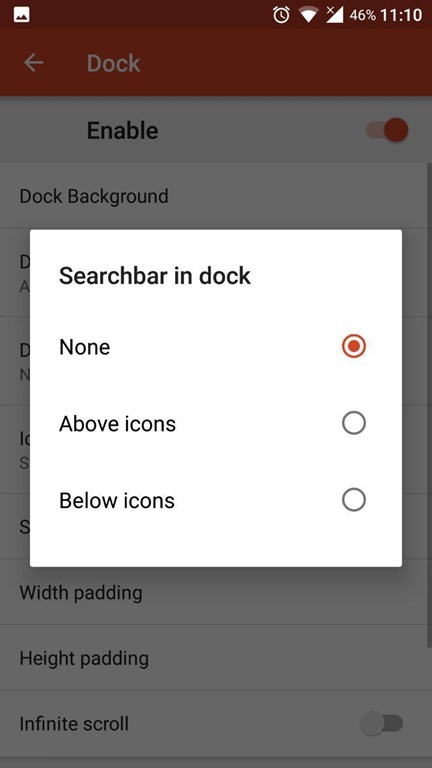 First of is the new search bar we saw during the launch of the Pixel 2 devices. 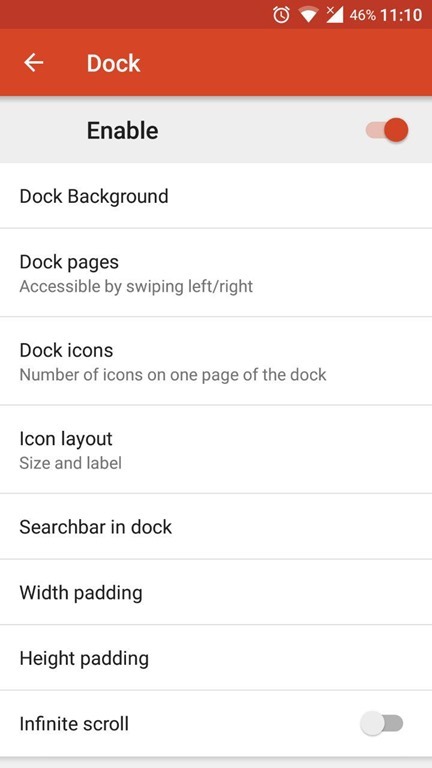 It is now below the dock in the new Pixel launcher, and you can get the same on your device with Nova Launcher 5.5-beta3. To enable this, go to Nova Settings > Dock > Search bar in doc, and you will be able to select if you want to place the search bar above or below the dock. 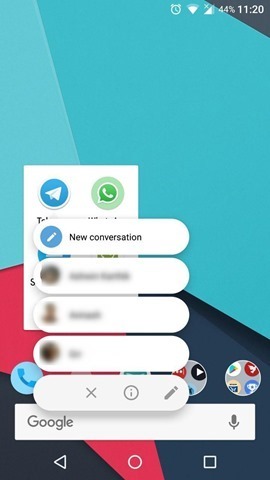 That's pretty cool, right? 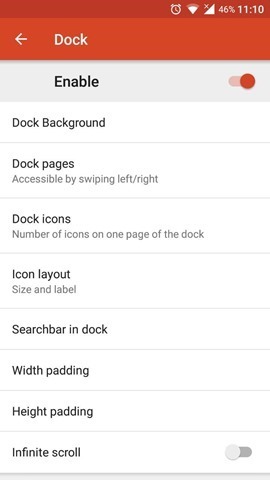 By the way, if you want the searchbar to look like the Pixel 2 style, you will need to change the search bar style and also the Google logo, which you can do by long pressing the widget. 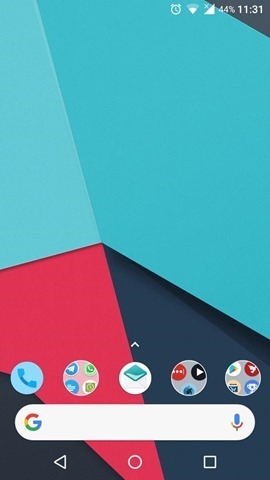 Check the first screenshot for reference. 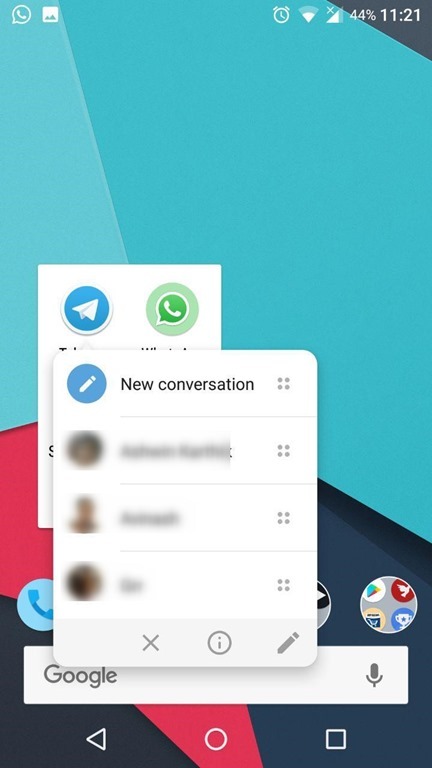 Next is the new pop-up menu, also called as launcher shortcuts, which appear when you long-press an app's icon. This is what it looks like prior to the update, aka the Nougat pop-up menu which has “Pills” for each option. 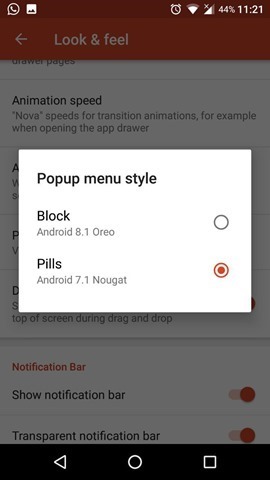 And this is the new Android 8.1 Oreo style popup menu with bundled options, called Block. 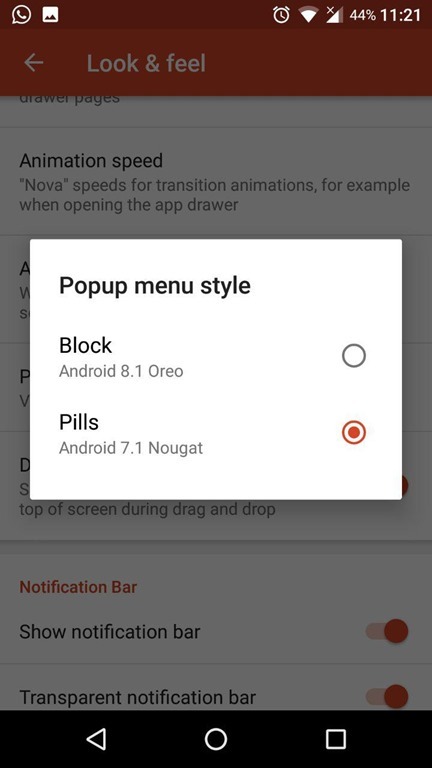 You can enable this from Nova Settings > Look and Feel > Popup menu style > Block. Adaptive icon animations have been added to Nova Launcher and work when you drag and drop icons. 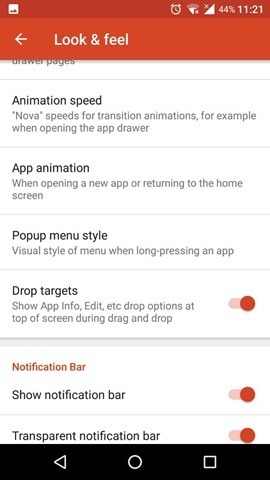 If you are on Android Oreo, and want to change to normal icons (non-adaptive), you can do so from Nova Settings > Long-press volume down to enable Labs. 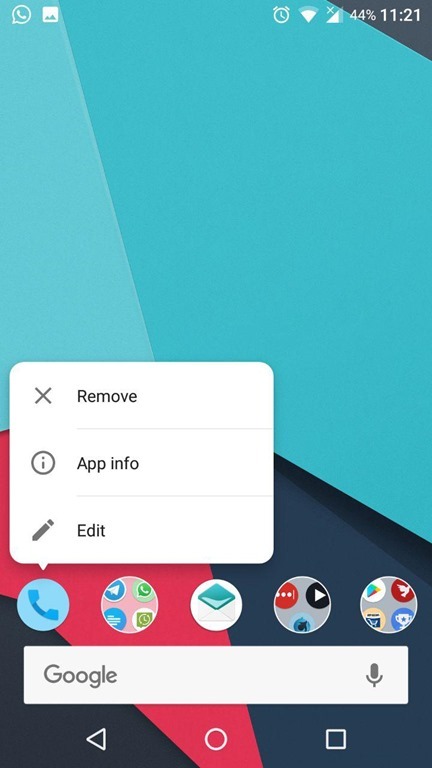 Go back to Nova Settings > Look and Feel > Adaptive Icons > Prefer legacy. 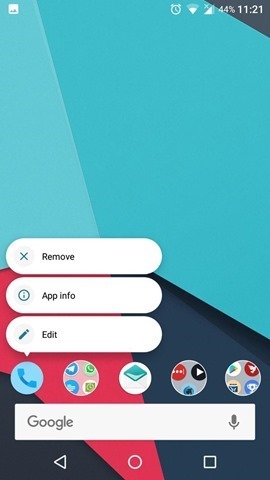 Download Nova Launcher 5.5-beta3 beta from the Google Play Store.